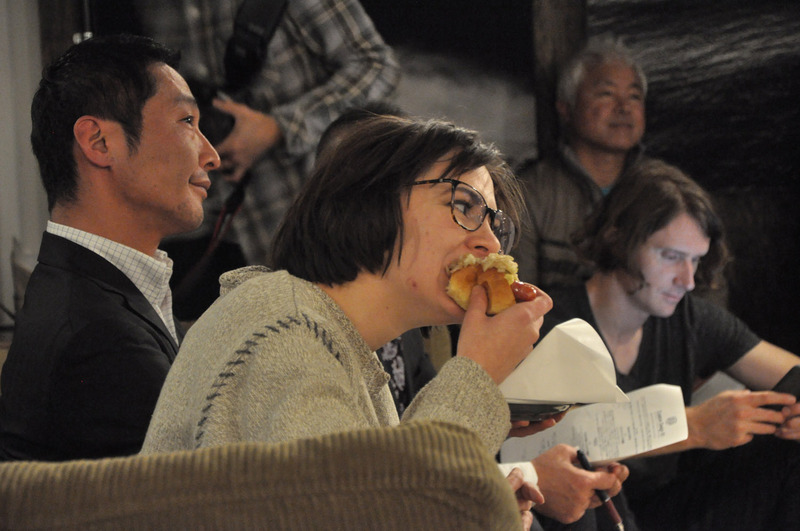 With every seat in the house full, standing room running out fast and the press gallery champing at the bit. 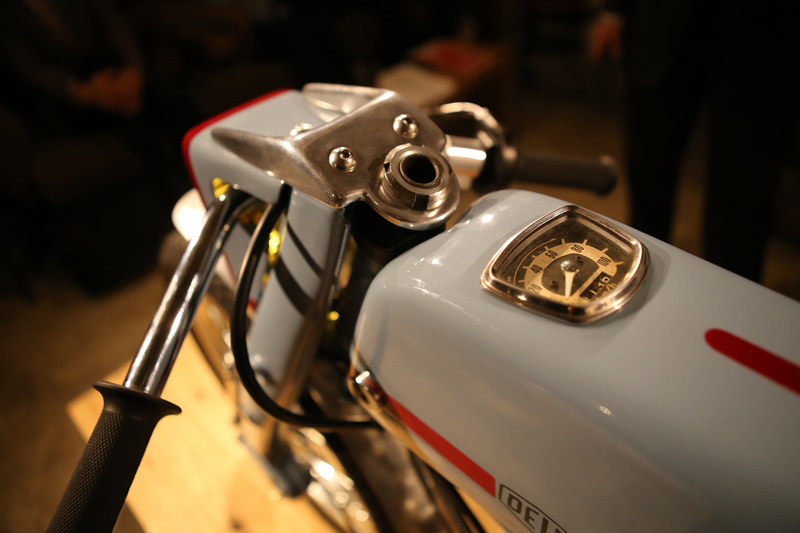 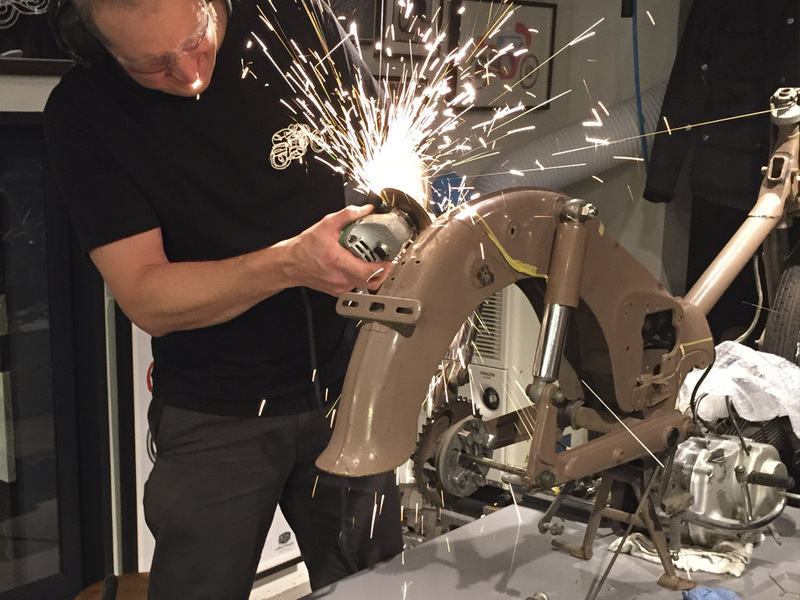 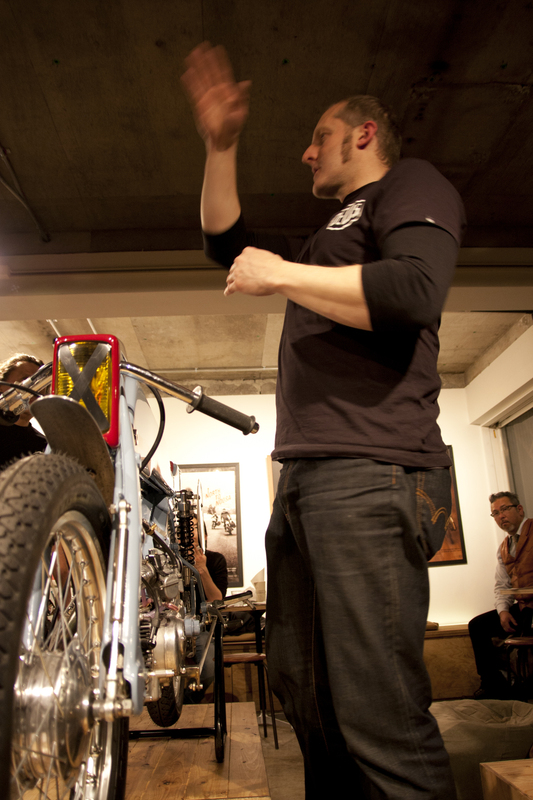 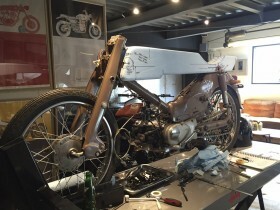 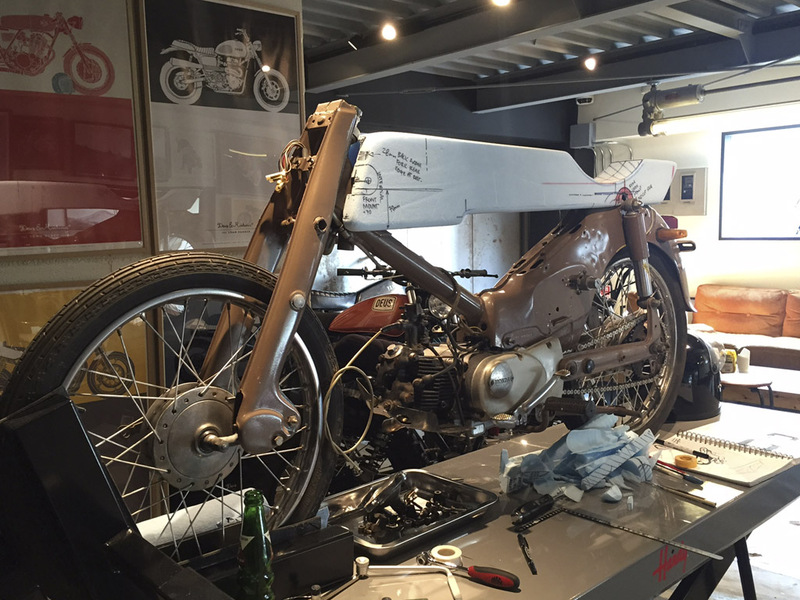 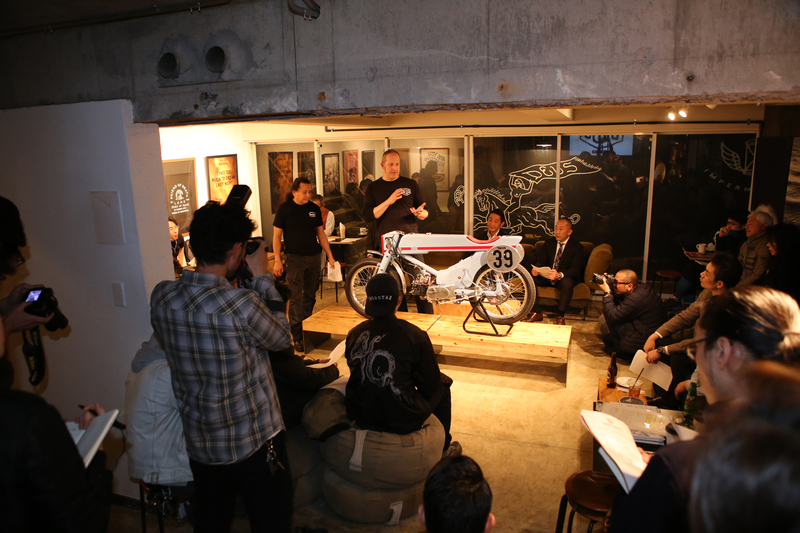 The guest list bulged, from former GP Riders to garage builders and old hands to soon-to-be-new riders, while the Café’s kitchen gurus and baristas worked the room to ensure bellies were full and whistles wet ahead of the evenings proceedings. 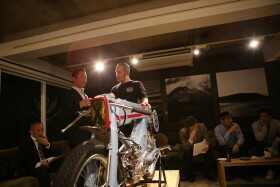 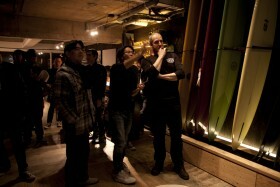 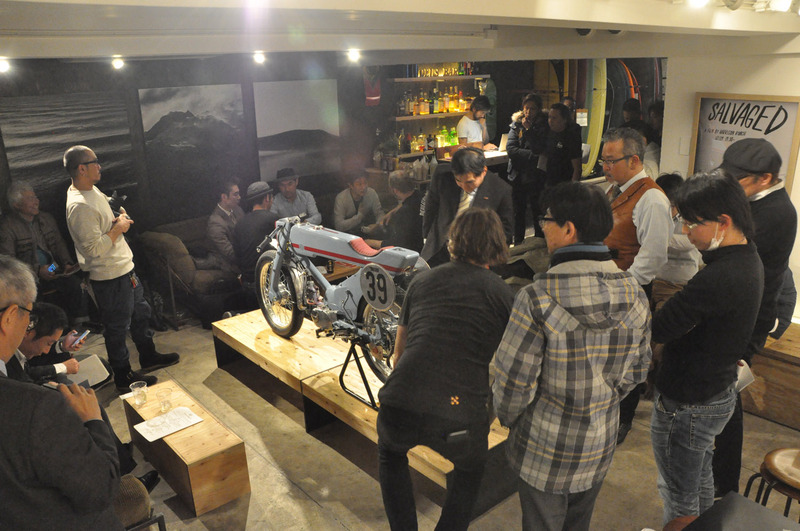 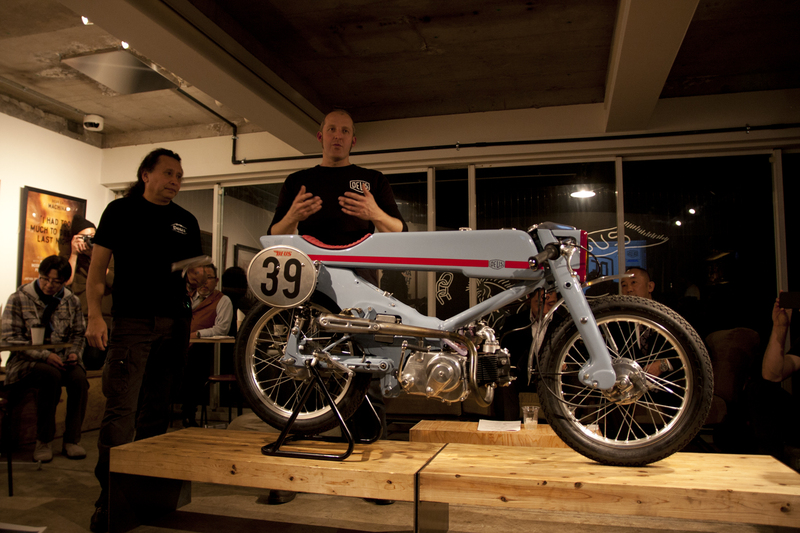 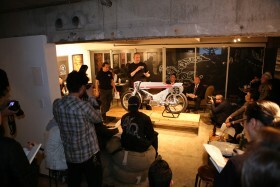 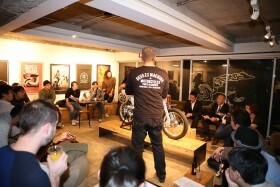 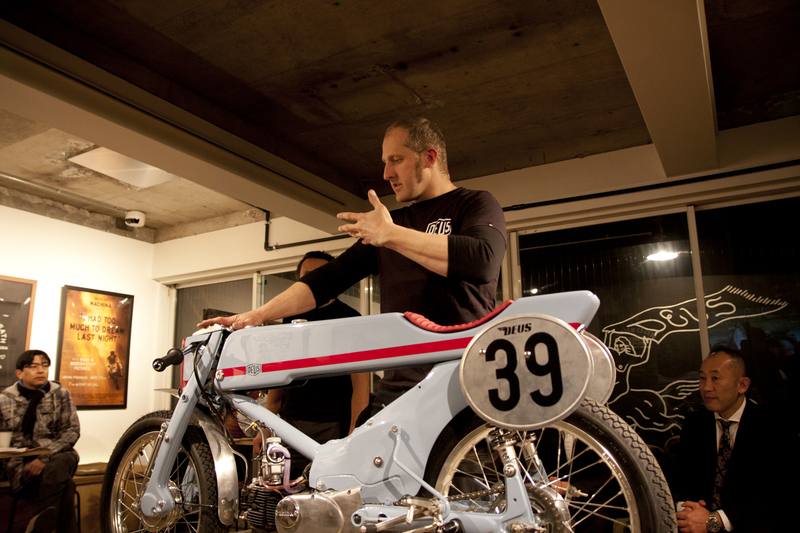 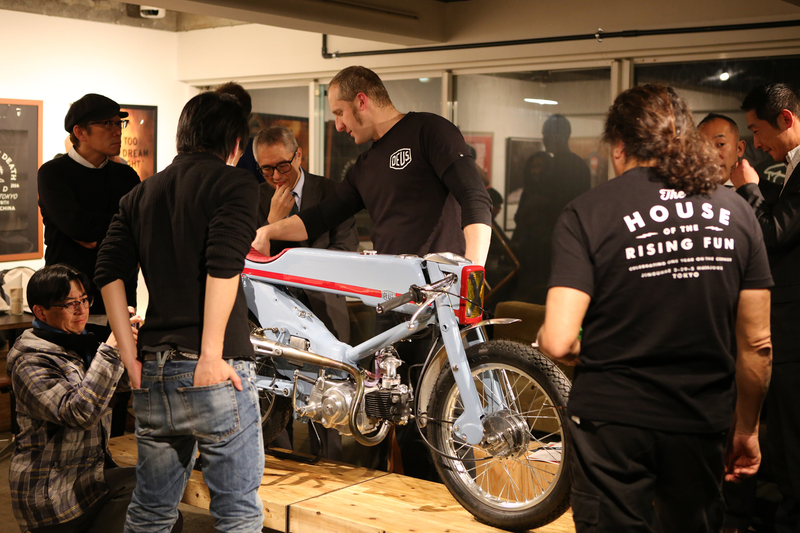 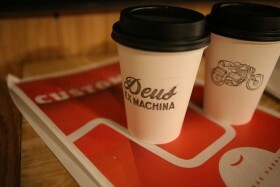 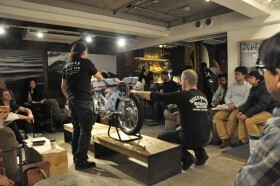 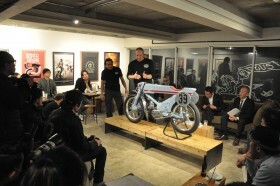 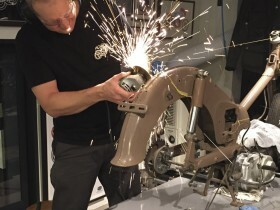 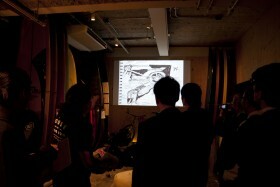 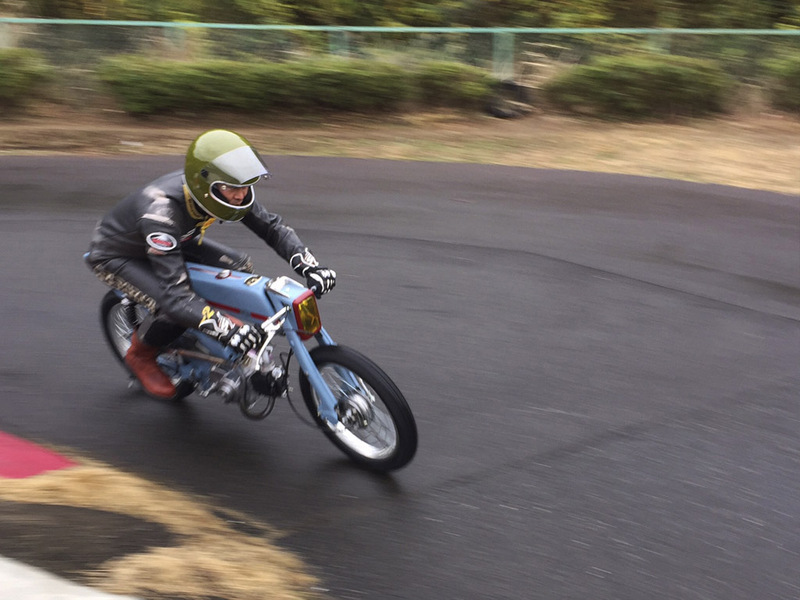 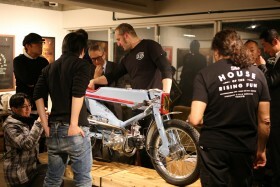 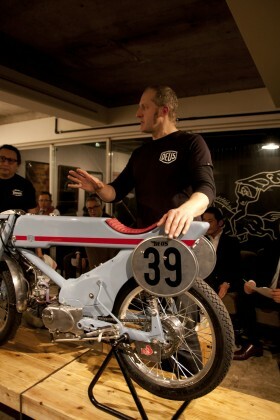 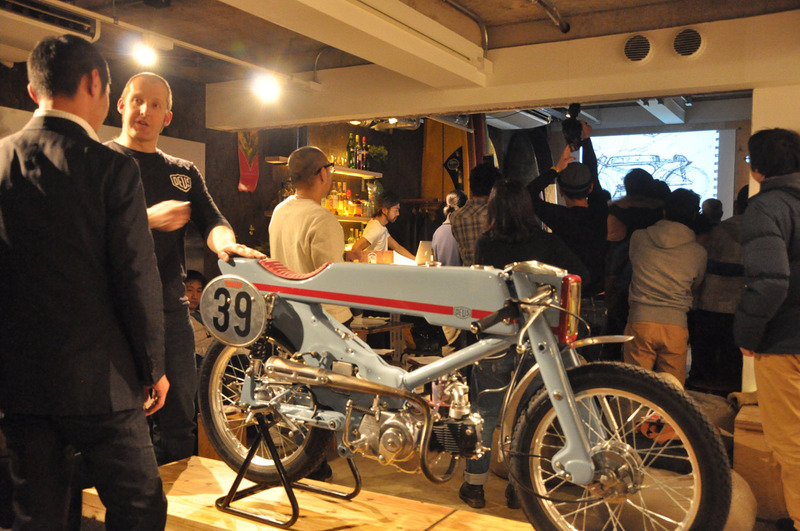 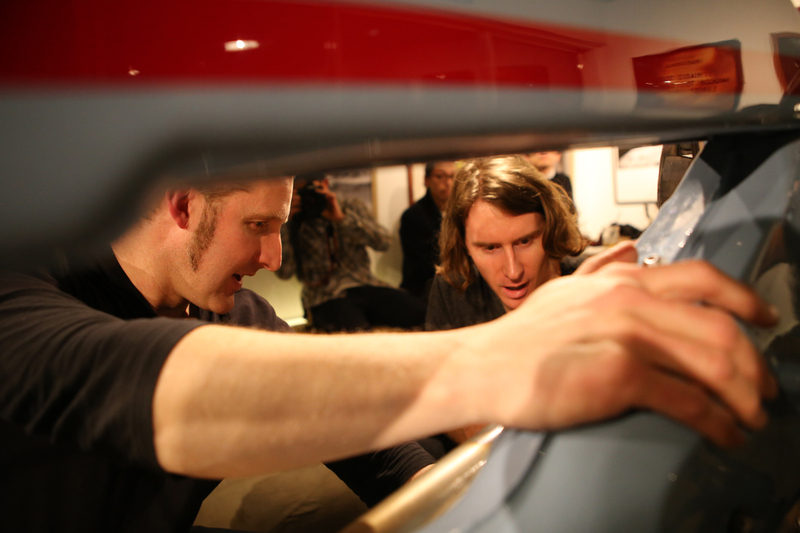 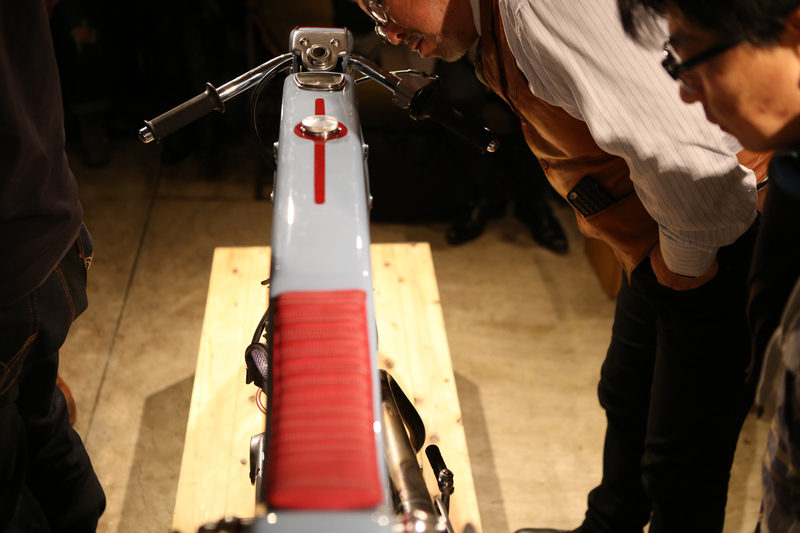 Sharing center stage with The FireFly were its creator Matthew Roberts and race team member Riku Emoto, limbered up and ready to kick into the evening’s bilingual tag team presentation – Deus Japan’s inaugural Custom Design 101 Session – to the international audience. 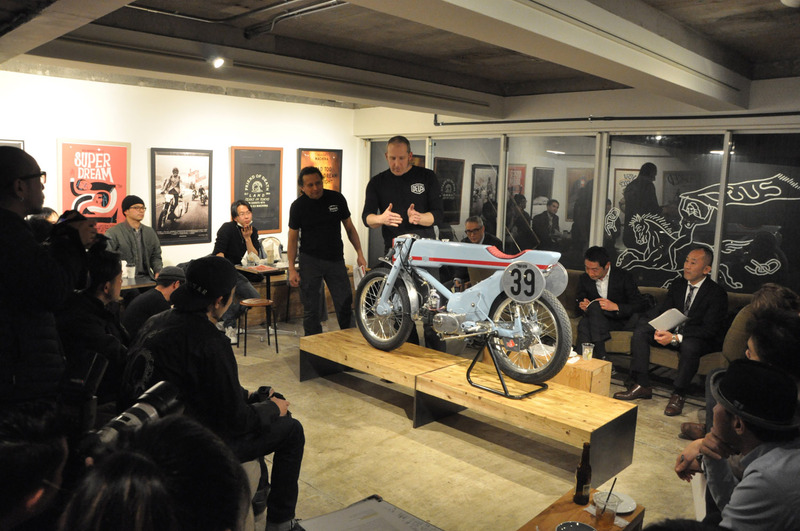 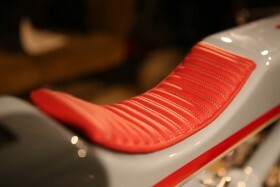 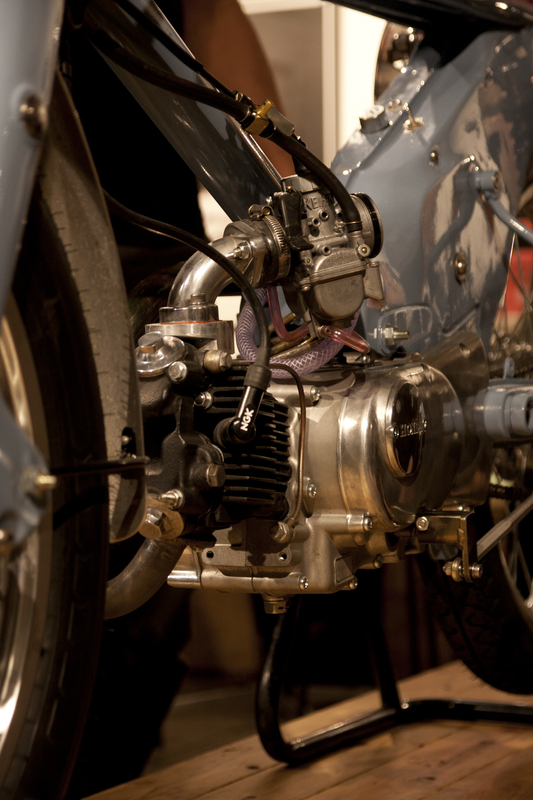 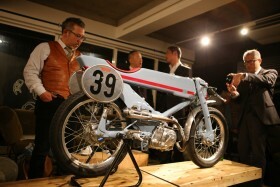 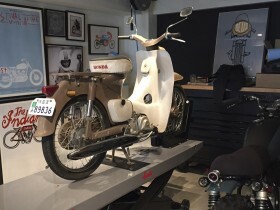 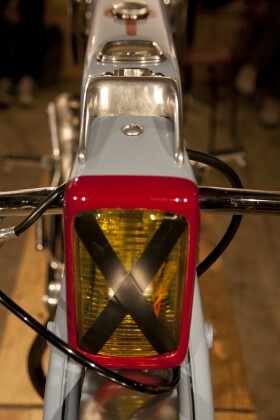 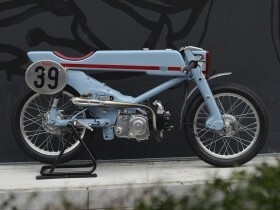 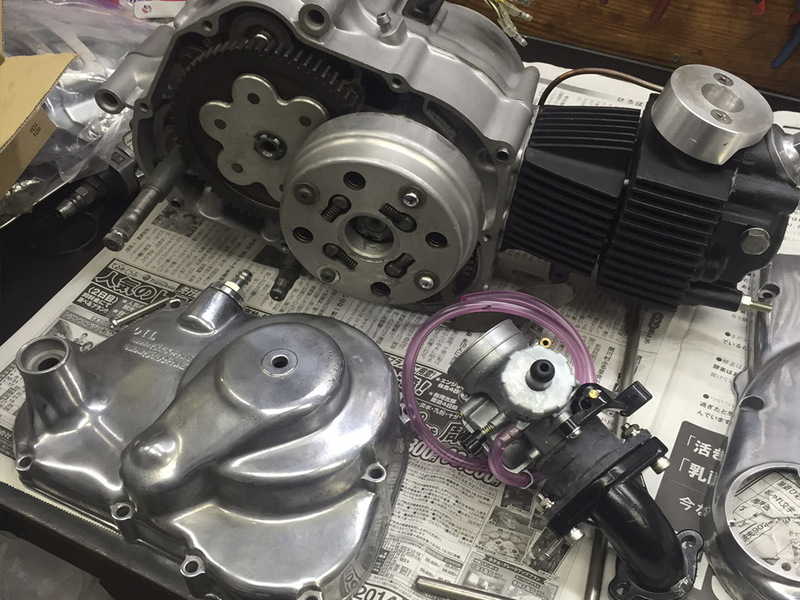 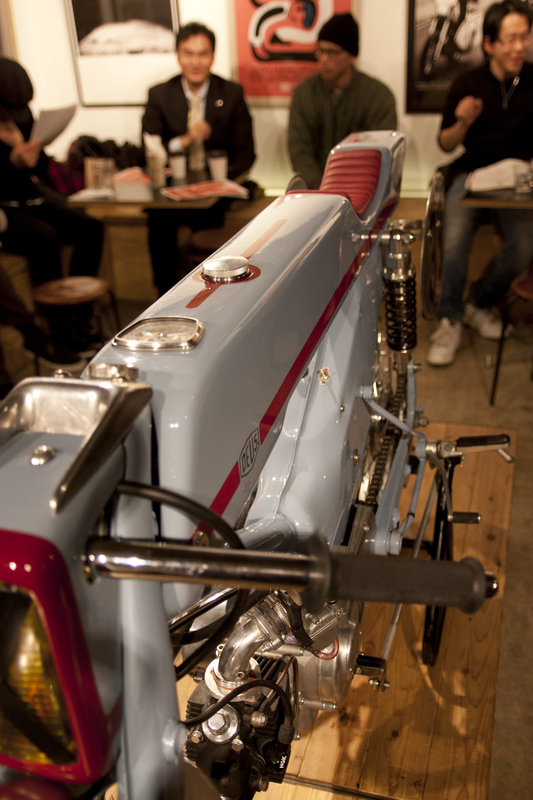 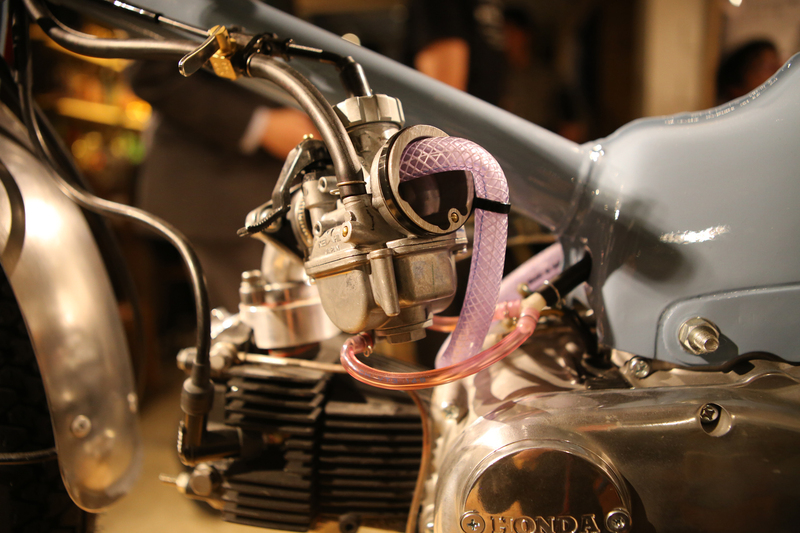 The night was broken into four presentations with ample time between each for all to meet the two in person and poke, prod, examine and photograph the real star of the show, this highly customized 1961 Honda Cub. 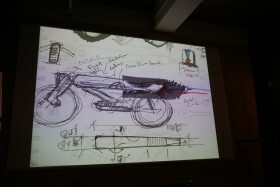 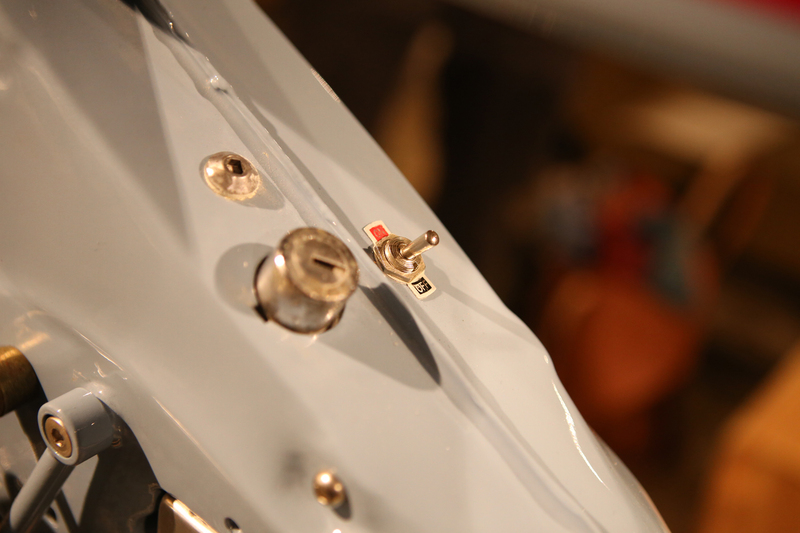 In addition to seeing this stellar build in the flesh was the rare opportunity to view sketches and illustrations while hearing first-hand, in English and Japanese, the creative journey behind the Firefly’s concept as well as the challenges and triumphs of bringing it into reality. 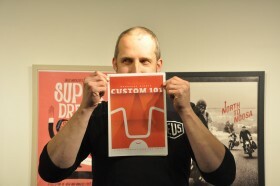 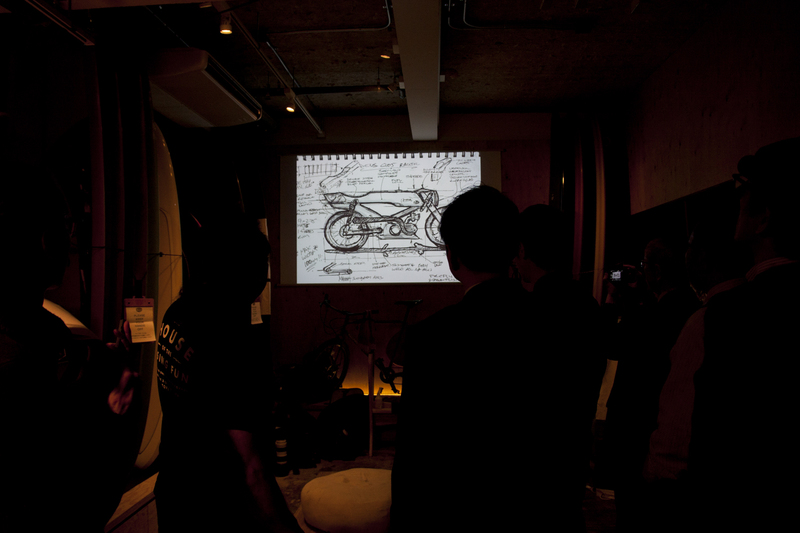 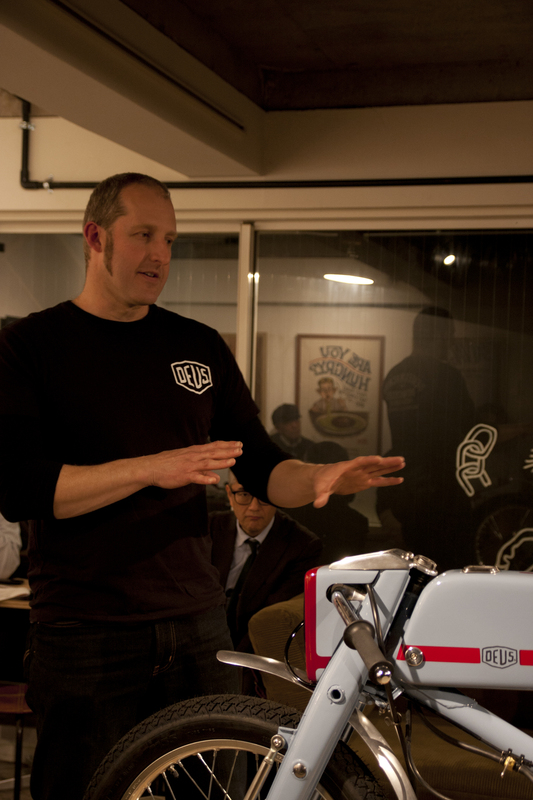 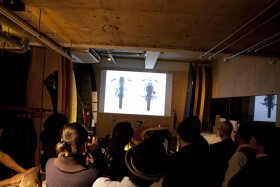 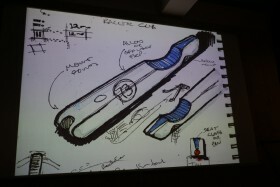 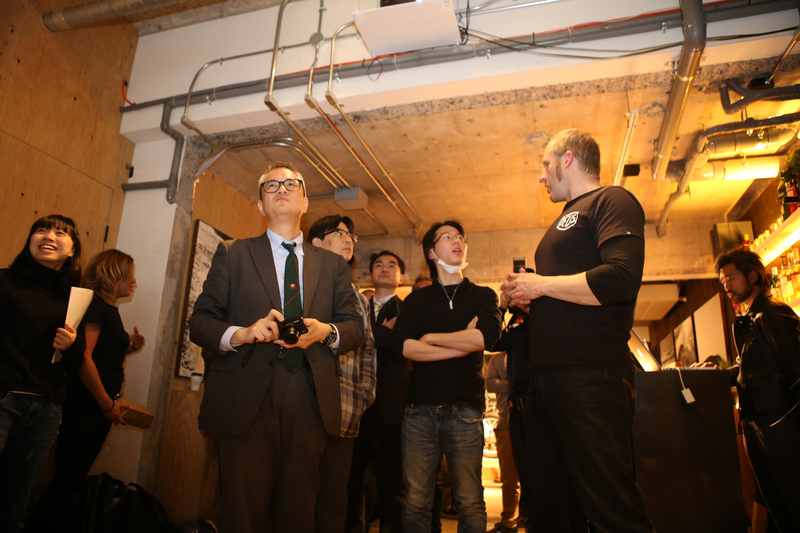 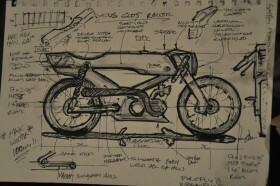 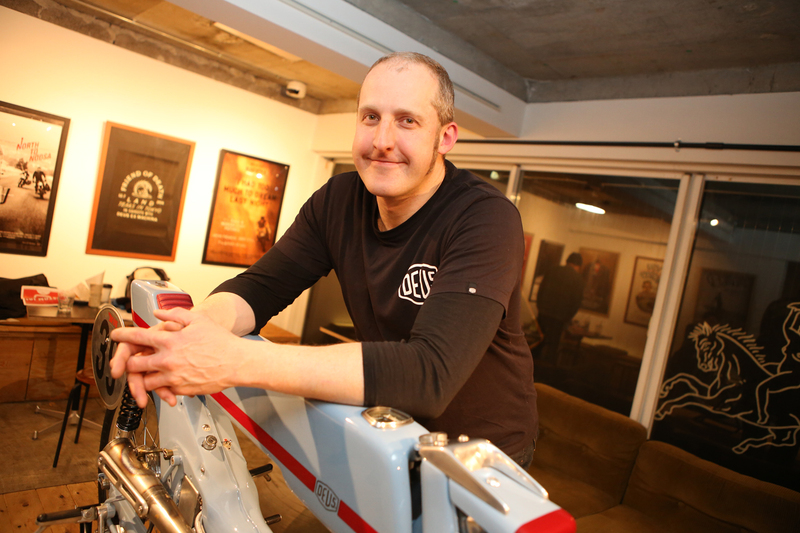 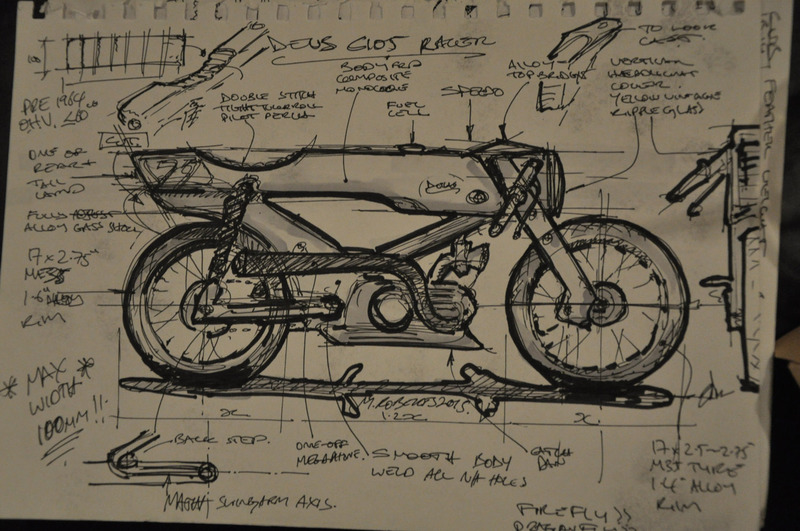 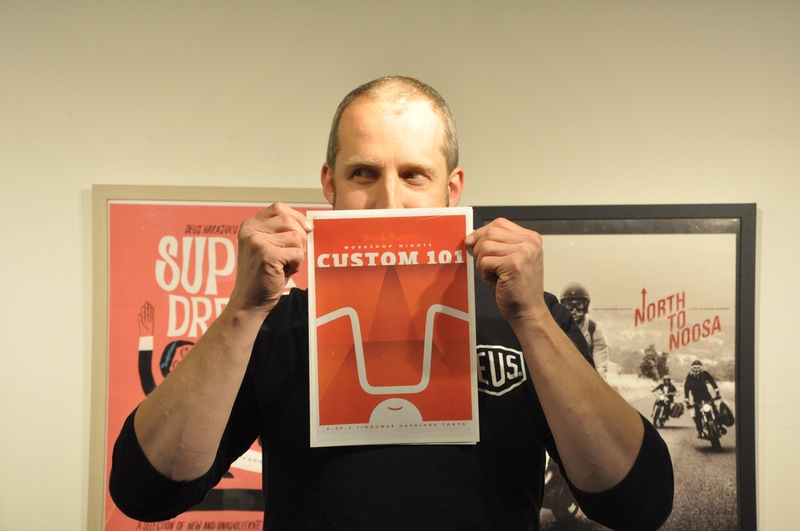 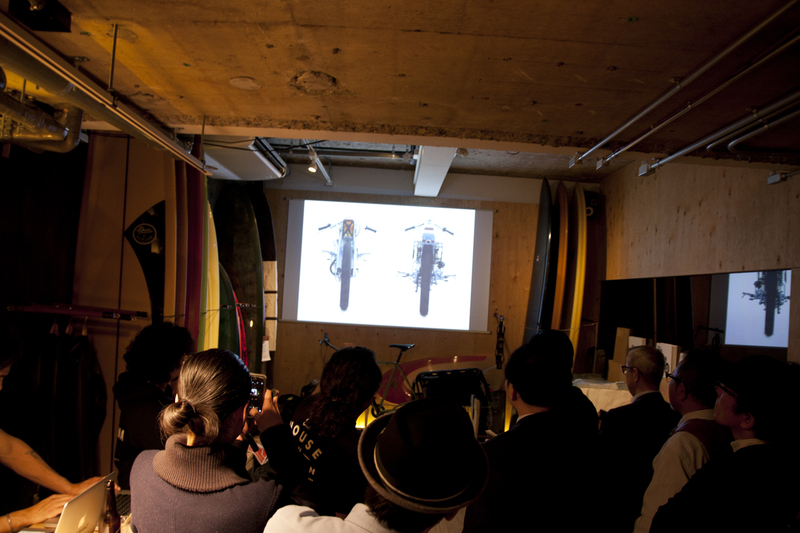 Later in the evening Roberts went on to offer insights into Deus Japan’s approach to custom motorcycle design, taking questions from those gathered, plus sharing a dozen or more practical tips and tricks to help the budding garage builders in the crowd improve their custom game. 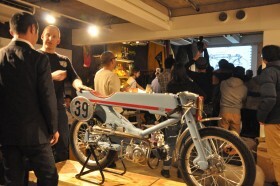 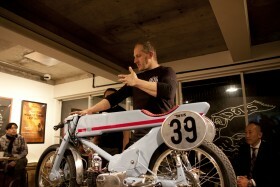 The combination of the gravitational pull of this little blue Cub with an uncanny ability to make new friends had drawn a diverse gathering of the devoted and the Residence of Impermanence had delivered with intimate atmosphere, good food and a sharing of the love-of-the-moto that saw all leave with smiles and an gleam in their eye for their next build.